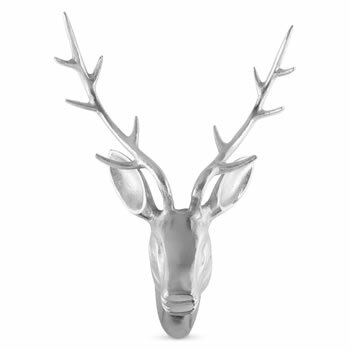 A stylish and contemporary stag's head wall art the home, a stunning statement to mount, made from silver aluminium. H42 x W31 x D21cm in size, secure and easy to mount with the 2 hooks on back. 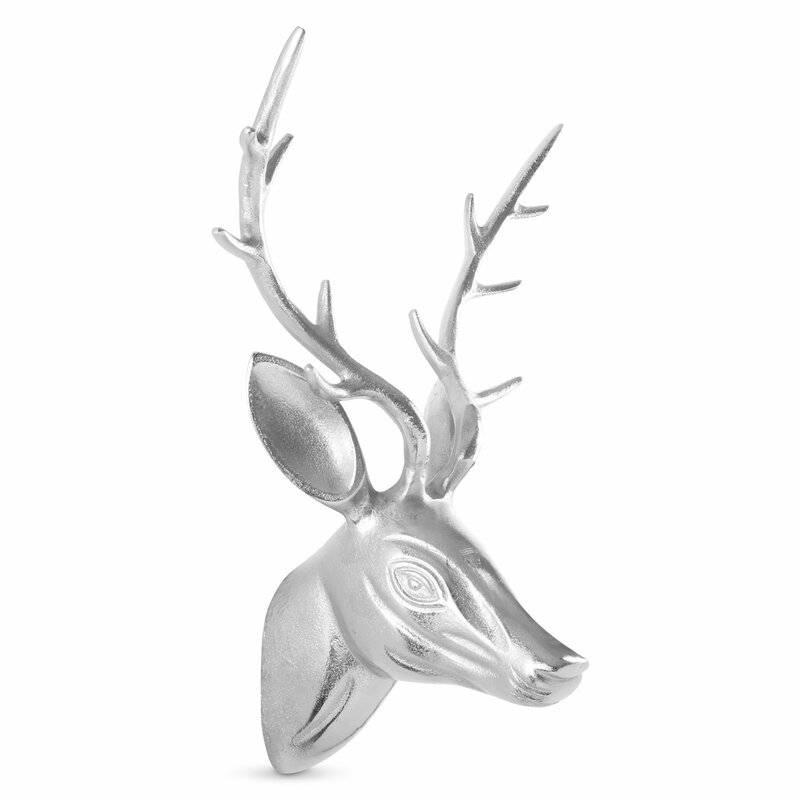 Please note: this is hand finished so slight imperfections are inevitable and are part of the design.